Road cycling is the gladiatorial combat of burning calories. It’s you versus your own weight and the wind; the effort burns your legs and lungs, making for excellent cross-training with the cardio sports of alpine, nordic, and backcountry skiing. And once you get on a lightweight and agile road bike, it makes for a ton of freaky fun because you go fast and furious on slick tarmac wearing next to nothing. And like most folks heading out on two wheels in Whistler, I love feeling the thrill and freedom that only a bike can provide so it didn’t take long to enjoy hanging out with humans of all ages wearing skin-tight suits. If you want to get into road cycling in Whistler the Whistler Cycling Club is a recreational club for riders of all abilities. This is where I met the riders who showed me the ropes. My first ride with the WCC introduced me to wolf-packing up the devastating climb into the Callaghan Valley, as I tried to keep pace with the trendsetters all the way to Whistler Olympic Park. Much more fun was the screaming descent, which also taught me about keeping your cool at 70km/h on a road bike. If you think that road riding is an easy sport, think again. Riding in a paceline — that single-file line of cyclists you see on the side of the road, so close they are nudging up against each other’s tires — requires some skill. Knowing how to safely draft your fellow riders while switching leads increases overall speed and shares the load of battling into the wind. There’s new pedalling techniques to learn (scoop back, pull up with the toes!) and some terminology to get down (like nice kit—the spandex suit you’re sporting). Plus, a whole new language develops around things like cadence (how fast you’re spinning the cranks; usually more=better). Road riding need not be a solitary sport, in fact it’s much more fun in packs. Weekly rides to the Callaghan depart from Whistler Village Sports at 5:30pm on Tuesdays, with three groups of riders for emerging, intermediate, and advanced skill levels. The WCC also organises destination rides as well as weekend rides in the Sea-to-Sky Corridor for riders of all abilities. Check out (and Like!) the WCC Facebook Page for upcoming events and announcements and feel free to join the Whistler Cycling Club Forum where you can meet and greet other riders, find riding partners, and get all the local beta. While you’re at it, yes, the club is on Strava—the be-all-and-all of cyber road riding bragging rights. You’ll need a WCC Membership if attending more than one club ride and membership includes insurance for group rides through Cycling BC. 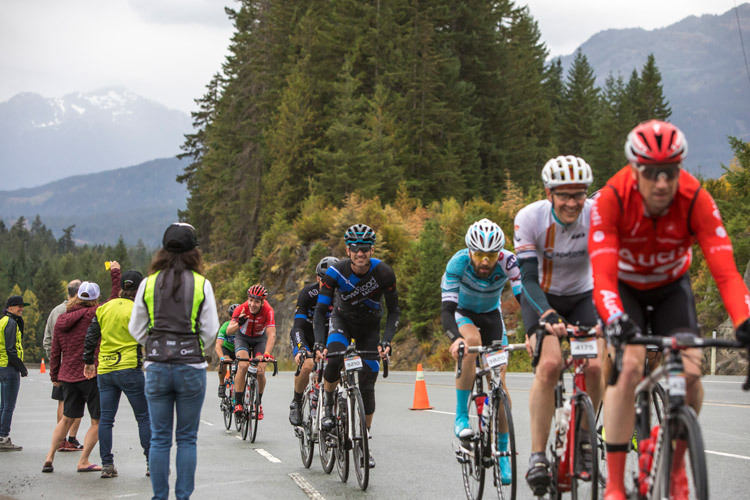 For decades Whistler has been something of a hidden secret for world-class road riding but that is quickly changing with the RBC GranFondo Whistler. Launched in 2010, “The Fondo” delivers some 5, 000 riders to Whistler’s doorstep and it’s a good spectacle sport watching riders dig deep and ascend some 1, 700 m of elevation gain along the 122 km of winding tarmac from Vancouver to the resort along Highway 99. A spring riding event perfect for those just coming out of hibernation, with a delicious mix of gentle scenic riding, gourmet food and socialising. 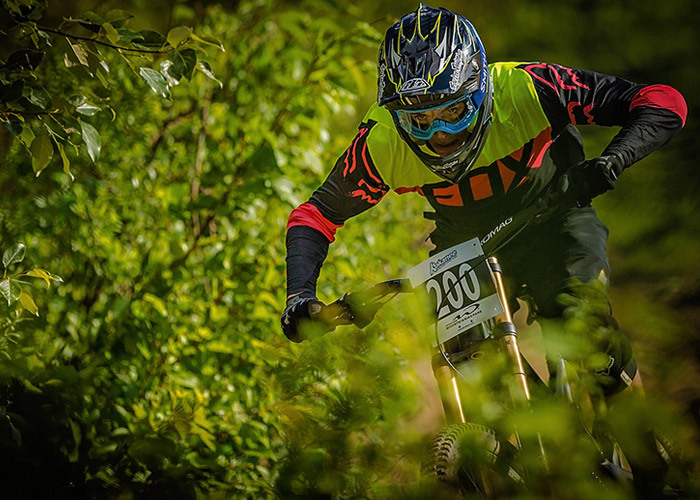 Bici Gusti is held on the May Long Weekend each year, and with a limited number of riders it’s worth signing up early to ensure your place. The partnership with the Four Seasons Resort & Residences Whistler means you know you’ll get the best of the best. 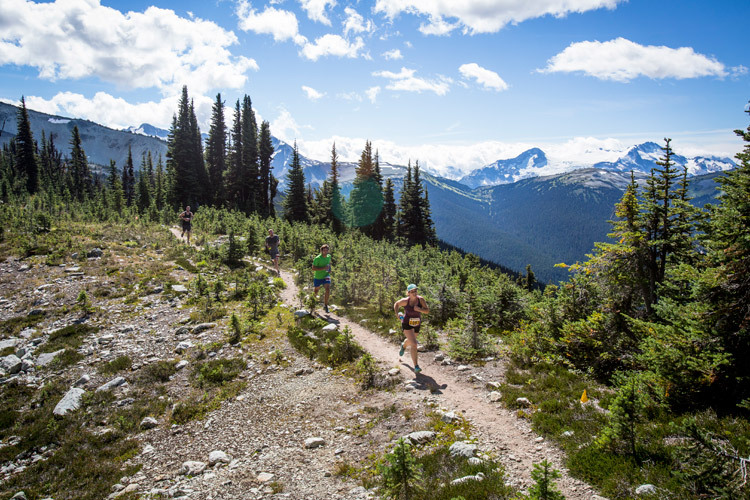 Whistler’s local roads feature killer hill climbs to look-outs over the Valley, including Kadenwood, Stonebridge, and Taluswood. Alta Lake Road makes a scenic ride with plenty of rolling terrain, plus the technical challenge of descending Cardiac Hill. Longer forays south to the Callaghan, or north to the wide, glacial valley of Pemberton provide challenging, long rides for more experienced cyclists. 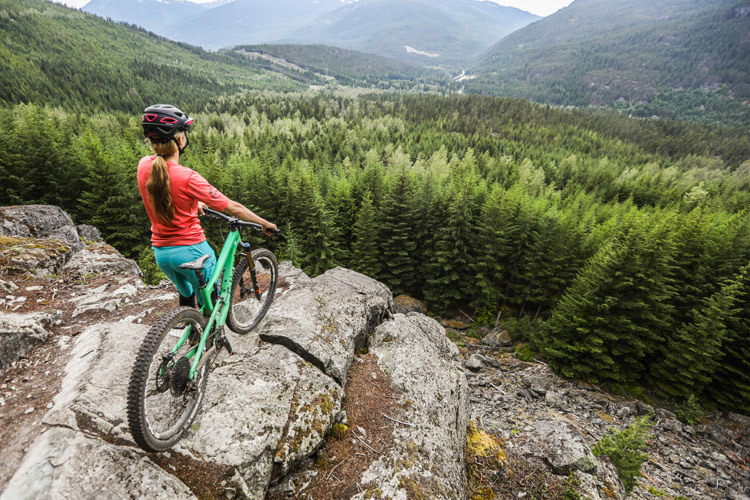 Whistler is also a great place to base a road-riding stay-over, with destinations both south and north, easily accessible by vehicle, including some seriously epic rides around the Duffey Lake and Lilloet area. Just remember to always ride with safety in mind. 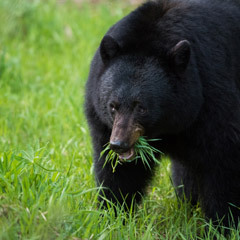 Roads can feature unexpected hazards, and a good road cyclist is one who is prepared. Always ride with a bike and tire repair kit; food and water; some basic first aid supplies; and a cellphone. As always, the road is shared with other cyclists and vehicles so be mindful of where you and your crew are on the road to maximise safety for all.